When my colleague J mentioned that a boyfriend of a friend of hers opened a new restaurant, we just had to check it out – especially when she mentioned that he used to work at the Black Hoof. 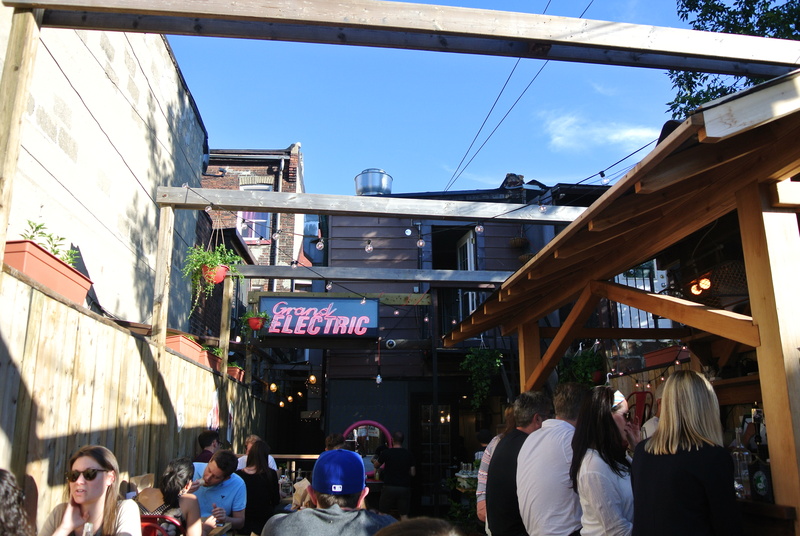 After work on a sunny evening we headed over to the up and coming area of Parkdale to a very small and unassuming restaurant called Grand Electric. The interior is hip and casual with what seems like more bar than tables but we were seated in the back patio sharing a communal picnic table with a party of four celebrating a birthday! The food is mexican and menu simple, a variety of tacos and other mexican-inspired dishes like guacamole and tortilla chips and queso fundido (think mexican version of fondue). All tacos were $3.50 each which allowed you to try a variety of tacos. All their tortillas are homemade and when fried and served with their guacamole, it was heaven – creamy and light at the same time. 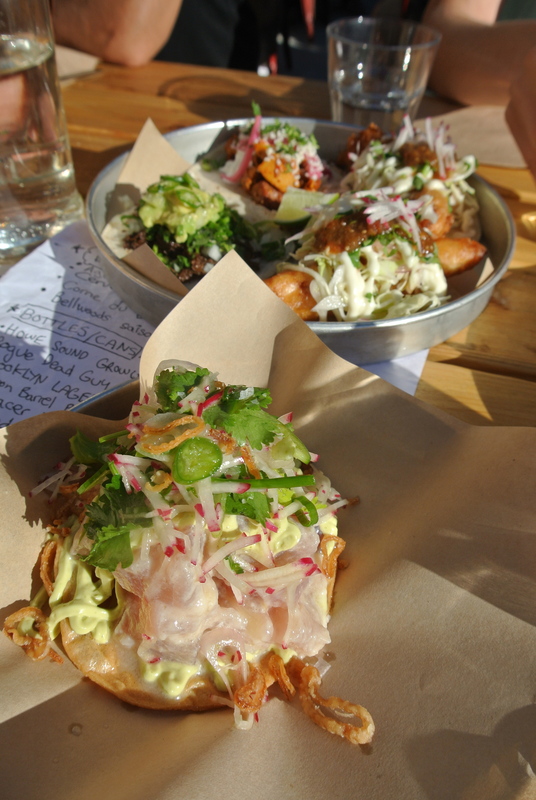 We also ordered their tuna ceviche, beef tongue taco, pork carnitas taco and for dessert, key lime and pecans & chocolate…..just delicious! 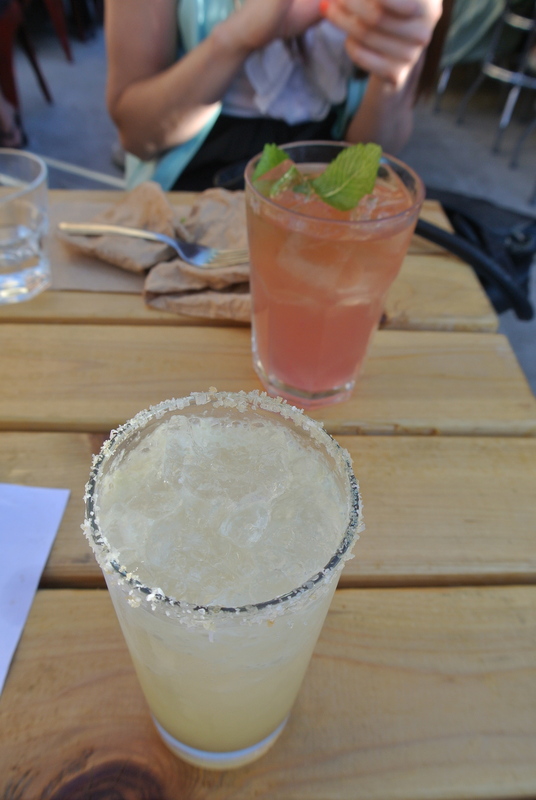 Their bourbon cocktails were also fantastic – a must try however, I will warn you, they are STRONG! I will definitely be back to eat my way through the rest of the menu! Grand Electric cocktails – Margarita and Bourbanade. Tuna ceviche and Guac & Chips. 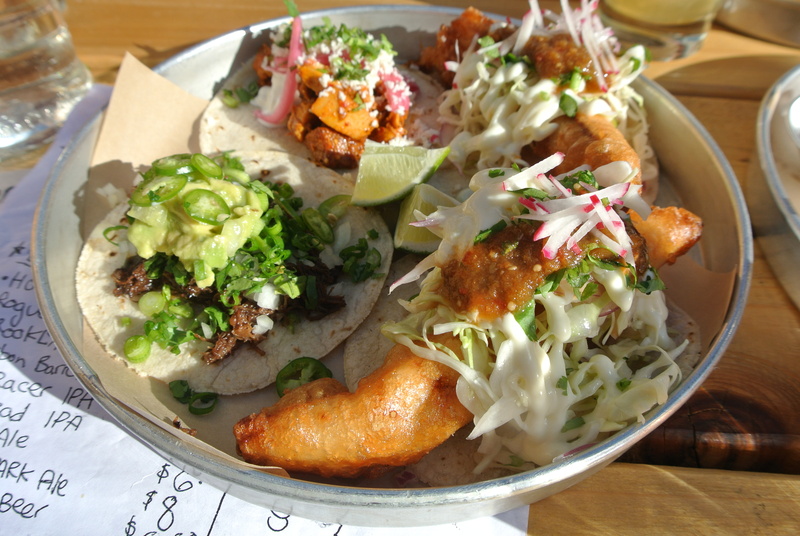 Fish, beef cheek and chicken tacos. 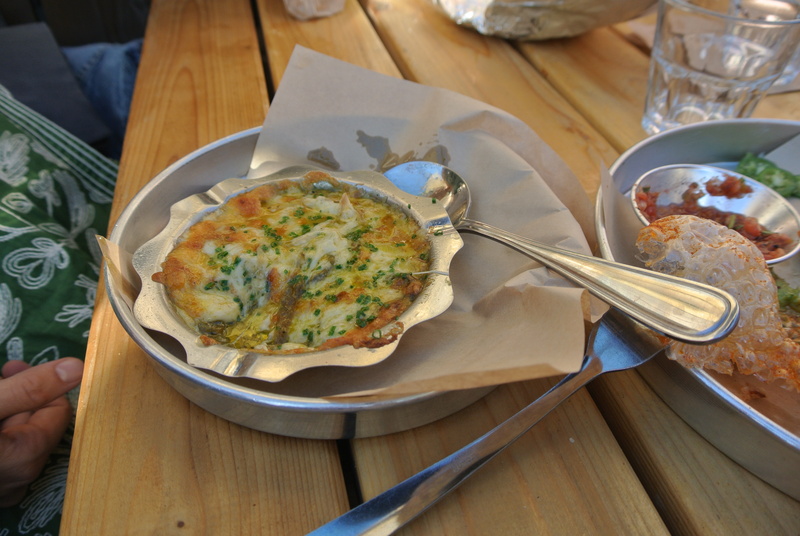 Queso Fundido – courtesy of the fun party of four we were sharing a table with! 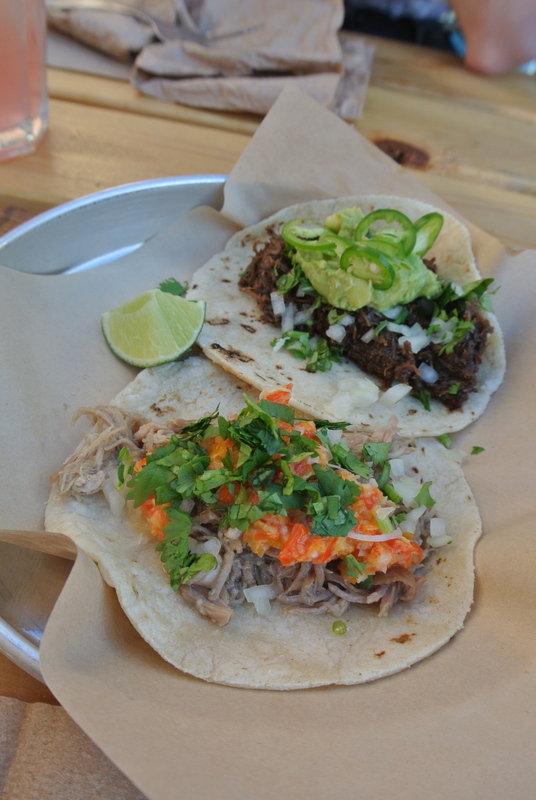 The day’s specials – pork carnitas taco! For dessert – Pecans & Chocolate and Key Lime. 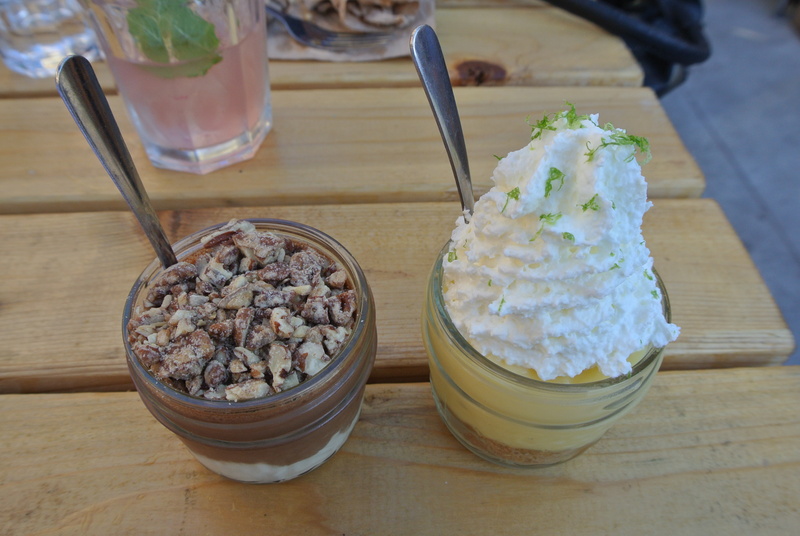 Both were scrumptious mousses/custards but Key Lime was my favourite! Great photos...love the first one. hello I want to go to a restaurant review with you next time!